Protects, Revives & Beautifies your guitar’s finish! Unique blend of non-abrasive natural conditioners that is safe for use on all finishes. Silicone free & leaves no wax build-up. Non-aerosol, eco-friendly dispenser. 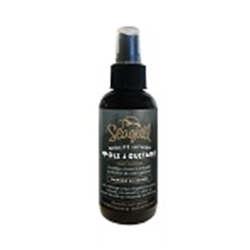 Recommended for use on the entire Seagull line of guitars!